What Makes the NASDAQ Different From the NYSE, Dow and S&P 500? NASDAQ originally stood for the National Association of Securities Dealer Automated Quotation system. Today, NASDAQ is the largest electronic equities exchange in the United States. It handles 14.1 percent of all equities traded. That's thanks to its 2008 merger with OMX ABO, a Stockholm-based operator of exchanges located in the Nordic and Baltic regions. The new company, NASDAQ OMX Group, lists stocks of over 3,800 companies. It also offers trading in derivatives, debt, commodities, structured products, and exchange traded funds. 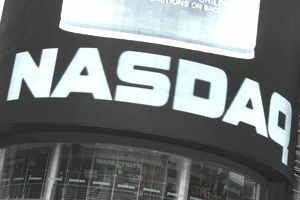 The NASDAQ company provides services to over 70 other stock exchanges in more than 50 countries. For example, it provides exchange technology, which helps in stock trading, clearing, and regulatory solutions. Understanding the NASDAQ will help you understand how the stock market works. The NASDAQ OMX Group also offers public companies tools to help with investor relations, market intelligence, board relationships, and news dissemination. It helps them raise capital through the U.S. Rule 144A. This rule allows the immediate resale of private placement securities among qualified institutional buyers without requiring public registration. NASDAQ was founded in 1971 and provided quotes for Over-the-Counter stocks not listed on other markets. For that reason, it became associated in people's minds with technology stocks. It was founded by disgraced securities trader, Bernie Madoff, who was also President of the NASDAQ Board. The NASDAQ is an exchange, like the New York Stock Exchange and the newly created BATS. Unlike the NYSE, it also reports the performance of all the companies that it lists. They are all components of the stock market. The Dow, the S&P 500, and the MSCI, are indices that track the performance of selected stocks. The Dow is short for the Dow Jones Industrial Average or DJIA. It follows the stock prices of 30 companies selected by the editors of the Wall Street Journal to represent their industries. They tend to be large, well-known companies like General Electric and Kraft Foods. The S&P 500 tracks the 500 most widely held stocks on the NYSE. The S&P 500 is broader. It gives a bigger representation of companies from various sectors and industry groups. Since it has more financial stocks than either the NASDAQ or the Dow, it hasn't performed as well as the other two since the 2008 financial crisis. The MSCI is short for Morgan Stanley Capital International. It tracks stocks in global, frontier, and emerging markets. It also tracks other geographic sub-areas, such as the Gulf Cooperation Council, as well as global small-cap, large-cap, and mid-cap stocks. These three indices track U.S. stocks, so they pretty much trend together. But they weigh stocks differently. The NASDAQ uses total market capitalization. It simply takes the share price and multiplies it by the number of shares issued. It doesn't matter whether a company has split its stock or not. The S&P 500 also uses market capitalization, but only counts publicly available shares. This means that a company that has a lot of stock still held by a founding family member won't have as much sway. The Dow weighs stocks with higher share prices more heavily. That means the Dow's performance will be swayed by companies that haven't split their shares, and thus have maintained higher stock prices. On August 22, 2013, NASDAQ shut down all trading from 12:14 p.m. EDT to 3:25 p.m. EDT. The flash crash was caused when one of the NYSE servers had trouble communicating with a server at NASDAQ. The server provided data about stock prices. Despite several attempts, the problem couldn't be resolved, and the stressed server at NASDAQ went down. These crashes are not the same as a stock market crash. They don't have the power to cause a recession. They don't even last long enough to cause a market correction. NASDAQ also had a problem with the Facebook initial public offering, the second largest IPO in history. On May 18, 2012, trading of Facebook's initial stock offering was delayed for the first 30 minutes. Traders could not place, change, or cancel orders. After the glitch was corrected, a record 460 million shares were traded, creating $500 million in losses for traders. NASDAQ admitted it was caused by technical errors. This wasn't the first time, since NASDAQ has a long history of such problems. On March 10, 2000, the NASDAQ reached its all-time high of 5,048.62. That was caused by the tech bubble. Irrational exuberance drove the prices of any type of tech or internet stock high above reasonable valuations. In 1999, 65.9 percent of the NASDAQ were technology stocks, such as Cisco, Oracle, and Qualcomm. Another 15.2 percent was telecom. The remaining stock portions consisted of 5 percent consumer, 6.2 percent healthcare, 4 percent financials, and 3.7 percent of other types. This bubble, itself, was driven by the Y2K scare. That's when most companies and many individuals bought new computer systems. They were afraid old software might not be able to transition from dates that started with "19" to dates that started with "20." That's because many software systems only recognized the last two digits of any year. Computer and software manufacturers warned everyone to update their computer systems so they wouldn't fail at the stroke of midnight in the new millennium. This caused sales to soar, which made it look like any tech-related company was sure to make a profit. As it turned out, most computer systems were fine. Since everyone had just bought computers, demand was low, and orders for tech-related products plummeted. So did the NASDAQ, which dropped to 1,114.11 when it closed on October 9, 2002. It hasn't yet recovered completely from its 2000 high. It reached 2,859.12 on October 31, 2007, before plummeting to 1,268.64 on March 9, 2009. It took until November 26, 2013 to close above 4,000. The NASDAQ has become less reliant on technology stocks, now comprising only 44.8 percent of the total. Consumer goods, like Bed Bath & Beyond and Green Mountain, now make up 16.3 percent of the NASDAQ, while health care has grown to 13.9 percent of the total. But high profile tech companies, like Apple, Microsoft, and Yahoo, continue to make their home on the NASDAQ. Is BATS Really Better than the NYSE or NASDAQ? Will the Next Stock Market Crash Cause a Recession? Bonds Versus Stocks? Which Is Better for You?